If you like to travel, there are certain destinations that you should definitely put on your travel bucket list, including Iceland’s Seljalandsfoss Waterfall, pictured above. The country features everything from magnificent waterfalls like these, to rugged volcanic landscapes, black sand beaches, hot springs and snow-capped peaks. Seljalandsfoss is one of Iceland’s most photographed falls, plunging nearly 200 feet into a pool below. Visitors can even walk around the pool to the back of the falls for an especially unique perspective – if you’re very lucky, you might even be able to glimpse the Northern Lights through the water. 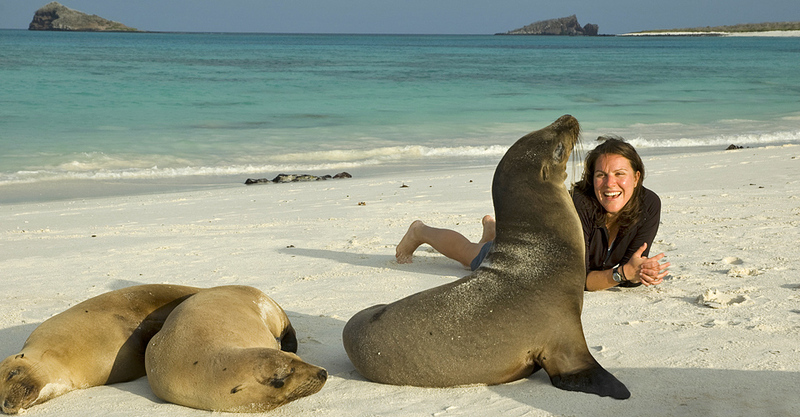 This one-of-a-kind destination off the coast of Ecuador offers some of the best up-close-and-personal wildlife encounters on earth, like snorkeling with sea turtles, penguins and rays or even basking in the sun next to sea lions. Cinque Terre is made up of five towns along the Ligurian coast of Northern Italy, each equally breathtaking. From the incredible scenery to amazing cuisine, fabulous food and welcoming people, this is a destination truly not-to-be-missed. This Greek Island in the southern Aegean Sea boasts black sand beaches that surround a magnificent coastline, with white-washed buildings perched atop the cliffs overlooking incredibly azure waters. Everyone should have the good fortune of being able to experience the Ring of Kerry in Ireland’s southwest region. One of the most scenic Irish routes, it stretches for 120 miles, bringing the opportunity to view lush, green hills and towering heather-topped mountains, glacial lakes, waterfalls, medieval ruins, jaw-dropping coastal scenery with picture-perfect beaches, castles and more.